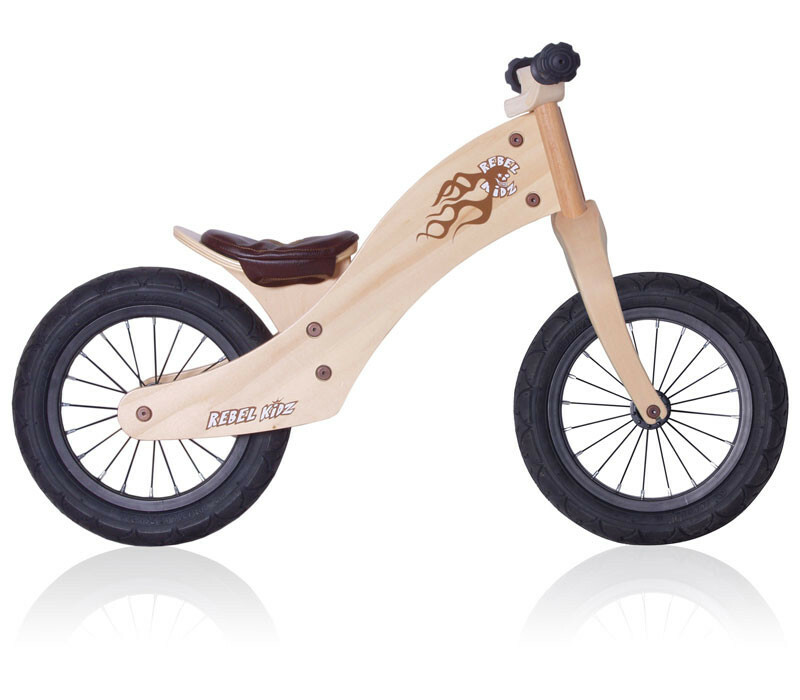 WOOD AIR 12,5" - More than learner bikes! 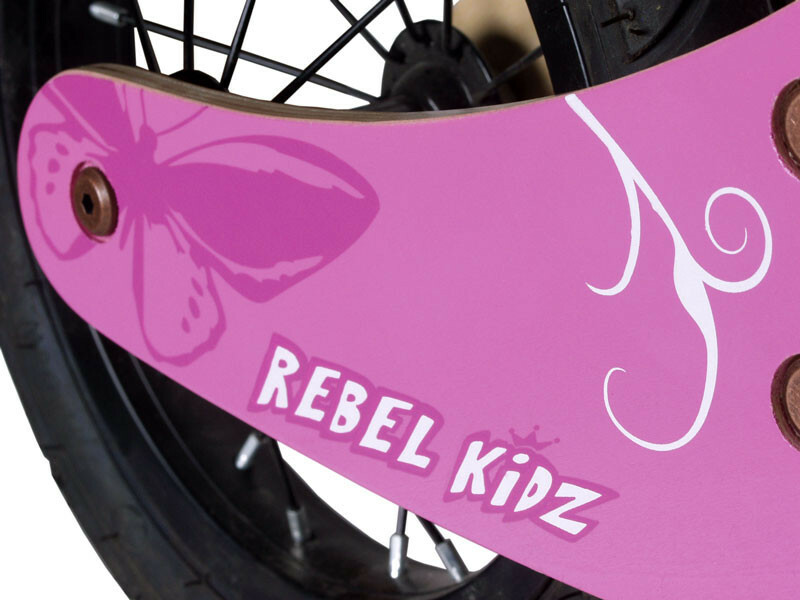 With our new brand Rebel Kidz we are now able to present a new bike collection for boys and girls between two and five. 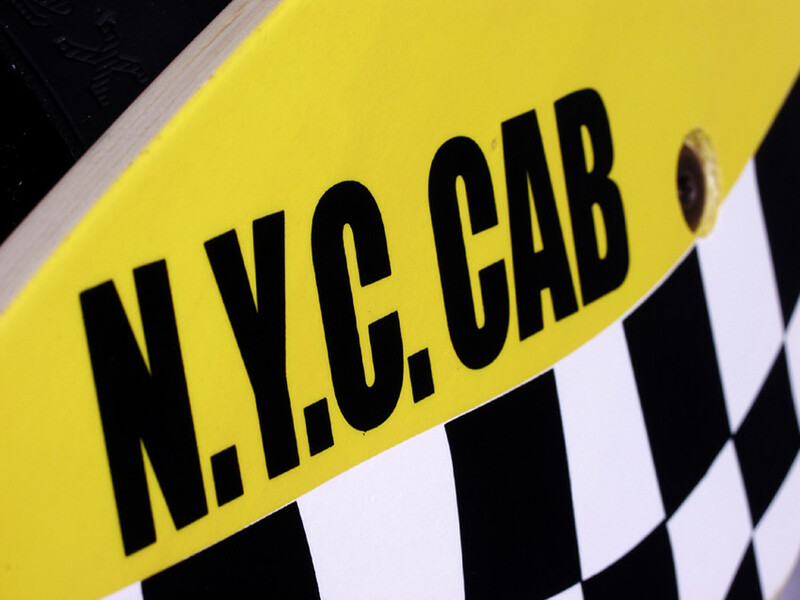 We felt that something was missing on the market – something different. 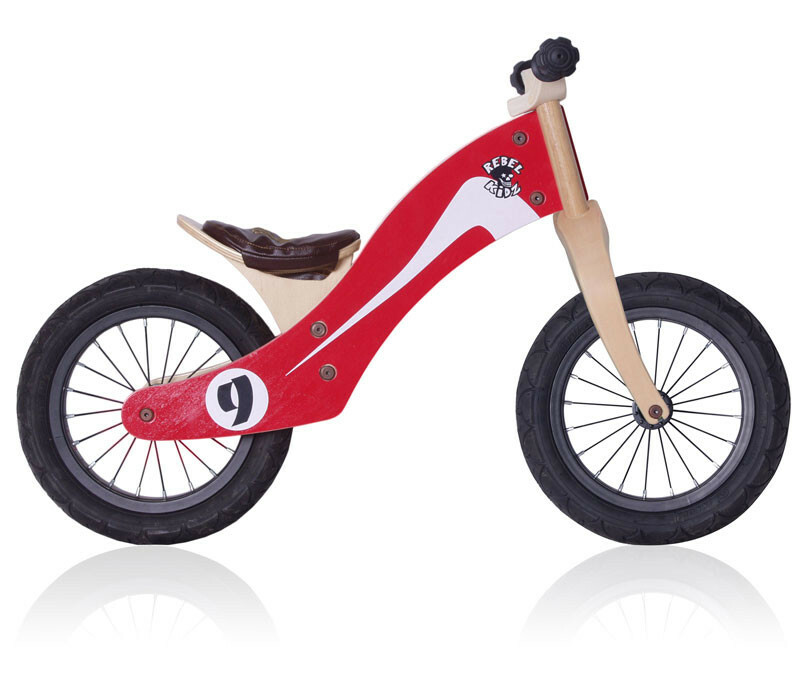 So with our long experience of making high end bicycles and parts we created cool and stylish childrens bikes which finally leaves nothing to be desired. 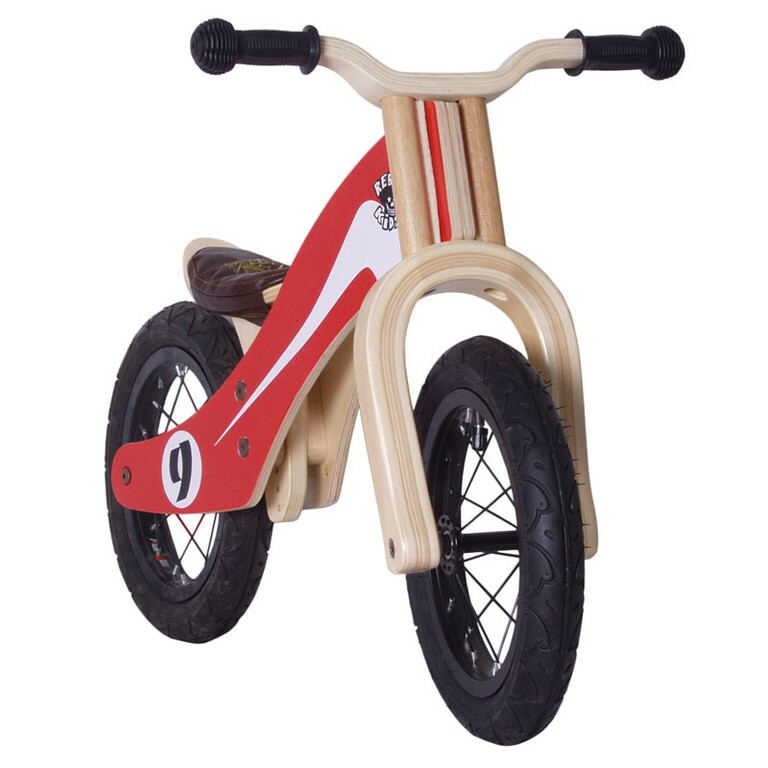 These bikes are great for developing childrens motor skills and sense of balance. 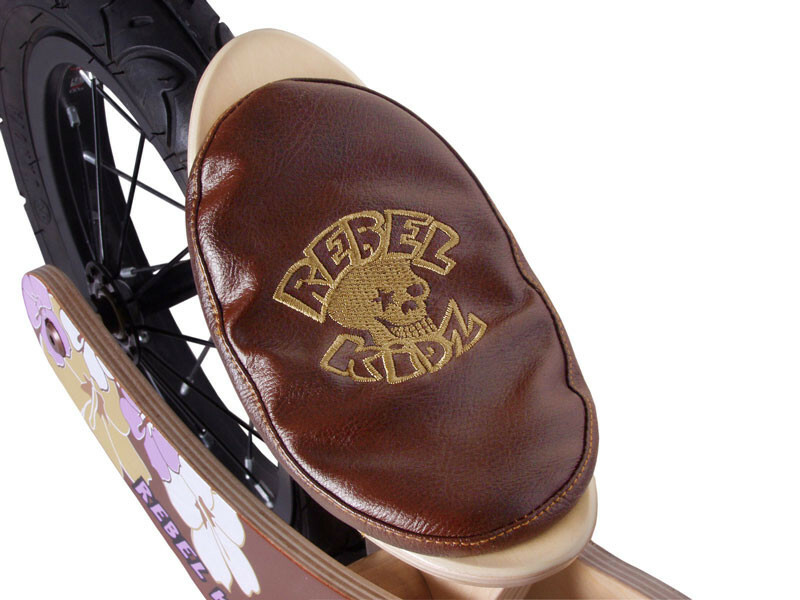 Mastering how to ride a Rebel Kidz bike will give your child a huge boost in confidence. 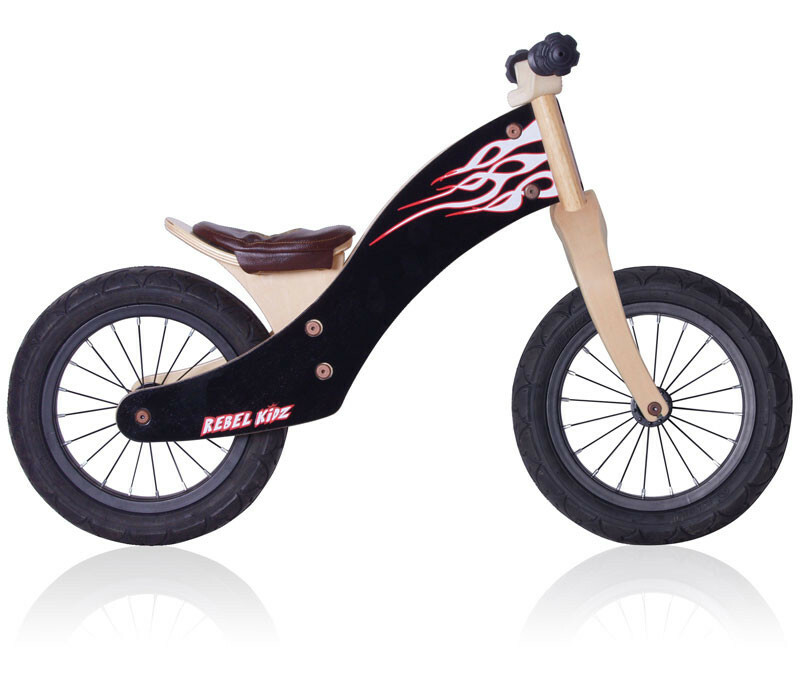 It will be a very easy transition to a pedal bike without the need for training wheels. Riding Rebel Kidz bikes simlpy is incredible fun for kids! 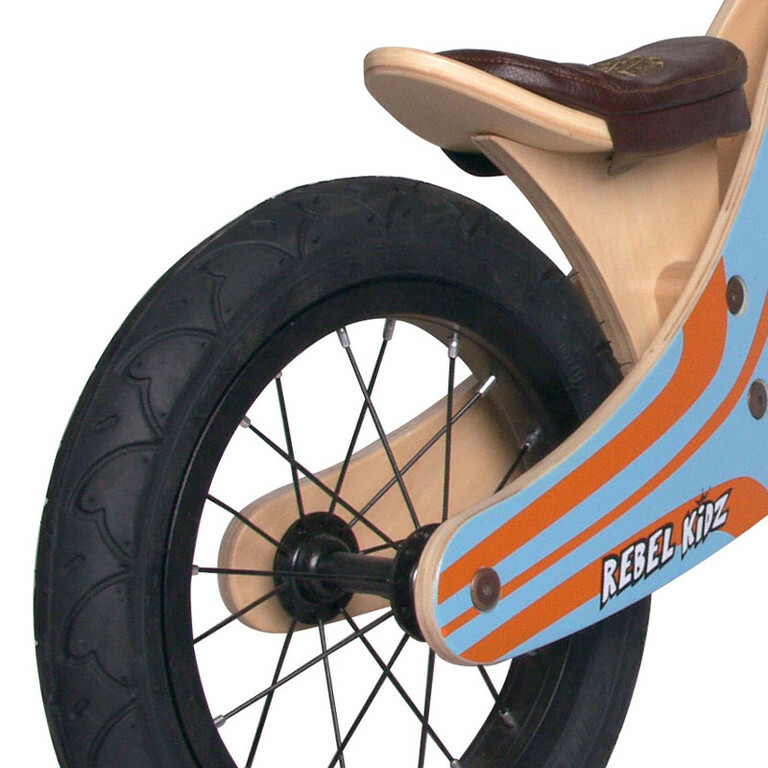 The Rebel Kidz wooden runner bikes are lightweight, easy to control and feature an adjustable seat and handlebar. This way the bike can easily “grow” together with your child. The bikes have a stylish and natural wooden look. 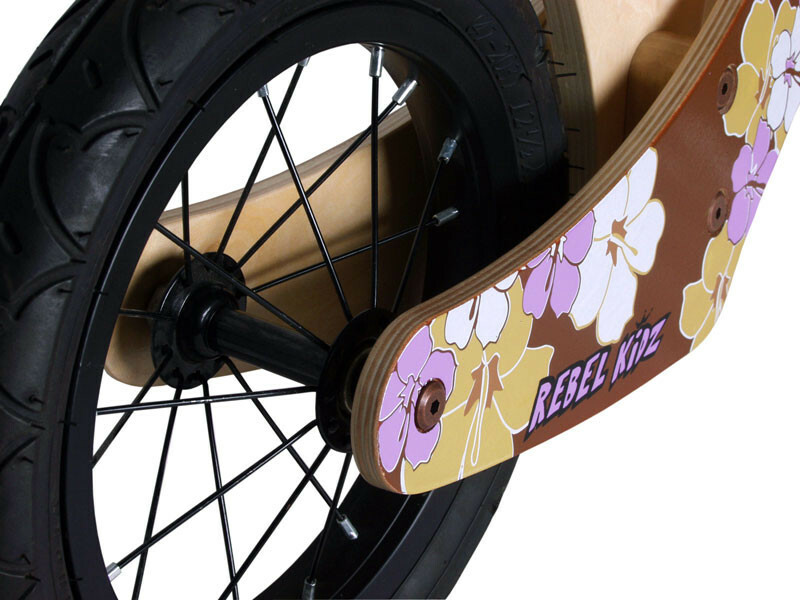 This in combination with our unique grafic design prints and perfect quality construction make them outstanding to the competition. These bikes prepare your kids for an exciting future on two wheels.